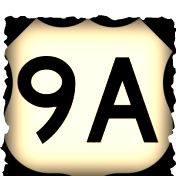 What did 9/A students do this year? What are they doing? Let's see. Kerem Şahin and Ecem Kurugöl was in the team and represented 9/A. 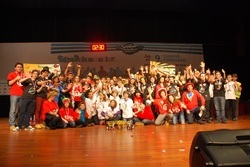 ''Seventeen'' won robot performance (1st) , project (2nd) and corevalues cups. However, they couldn't go to abroad because they couldn't have a success in Ankara. 9-A (students) prepared a competition with Suay Sayar(their math teacher) and Hülya Smail (president of the math department). 8th grade students competed in this competition. They both learned and had a fun. This tournament was taken place in Eskişehir. (It was organized first-time) There were 11 different country and 16 teams. Emre Yaman, Alper Tunga Çelebi and Berk Turgut were in the team of Bahçeşehir College. (teams were 6 people and 3 of them in Science-Tech). The team was 2nd and won silver medals. There were 58 team which competed in the tournament. There were 7 tours and the tournament continued 3 days. The Bahçeşehir College Team was 8th. Gani Fırat Erdoğan and Kazım Bozkuş were in the team. Also Gani won 7 matches, too. And he became 3rd table champion. He was the third in general classification. 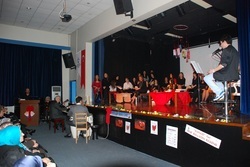 Ali İlhan Gülek (history teacher) and 9th class prepared an exhibition which is about Anatolia. They thought a film which can be about Anatolia and made posters for it. It was exhibited in BASAD. The students opened their first exhibition.